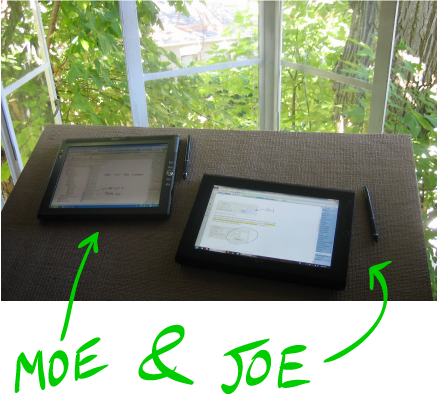 Joe is just the next generation on Moe. They’re both slates as you can see, from Motion Computing. 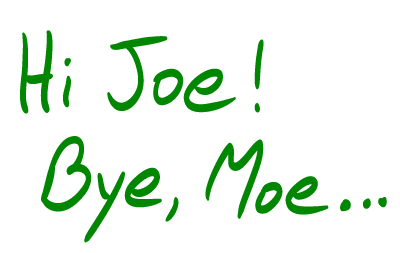 Moe was my favorite computer of all time, and Joe is just better yet. Since a sweet computer is one of the three pillars of Pete’s happiness (and the other two are also doing very well right now) I’m feeling quite cheery.